Today, March 20, at 2 p.m., 14 graduate students will square off in McGill's annual Three Minute Thesis (3MT) competition. The wealth of knowledge housed within the prestigious Redpath Museum sets a fitting stage for a series of cogent yet brief research presentations from some of McGill’s finest graduate student scholars. Today, March 20, at 2 p.m., 14 graduate students will grace the lectern of the Victorian auditorium and in just three minutes, orate the breadth and importance of their research to a panel of special guest judges, a sold-out live audience, and an online audience watching via livestream. The occasion? The annual McGill Three Minute Thesis (3MT) competition. The McGill 3MT competition follows a tradition initiated by the University of Queensland in 2008. Now hosted by over 350 universities spanning more than 60 countries, the competition encourages graduate students to present a clear and compelling description of their research to a non-specialist audience in under three minutes. 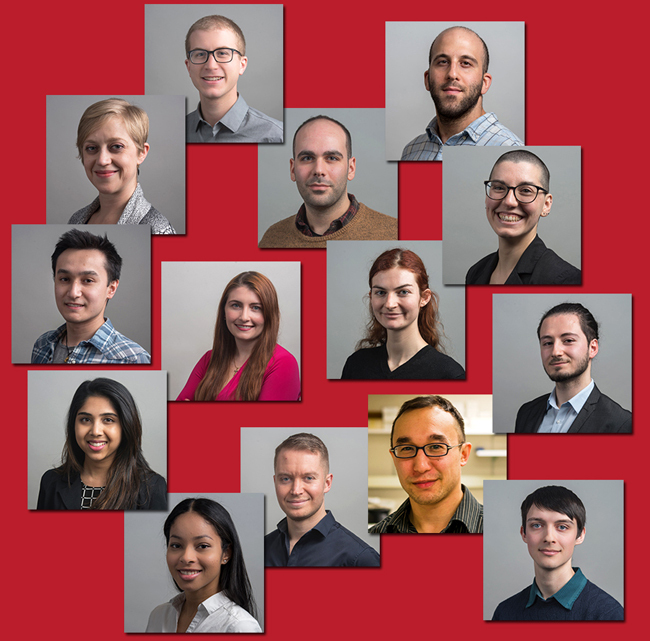 These 14 students, representing various faculties and departments across McGill, have been selected for the final round of the 3MT competition from an initial pool of 84 entrants. Over the past seven weeks in preparation for the final competition, participants have undergone a series of SKILLSETS coaching sessions including public speaking, and presentation skills training to perfect their talk down to the last second. The result of their hard work is an incredible range of inspiring academic presentations that promise to leave the audience galvanized to learn more. Finalists will compete for three cash prizes of $300 each; an English-language winner, who will advance to the Canadian Association of Graduate Studies (CAGS) Eastern Regional 3MT competition (hosted by McGill on April 18), a French-language winner, who will advance to the L’Association francophone pour le savoir (ACFAS) national 3MT finals in Chicoutimi, and the People’s Choice Award (voted by the audience). A panel of six judges have the difficult task of deciding the winners based on the presenters’ ability to highlight the importance of their research. The adjudicating criteria include the students’ presentation skills, the comprehensibility of their talk, and their ability to engage and captivate the audience. Judges will have to deliberate on subjects including detecting and treating cancer, improving tensile strength testing for concrete, and relationships between the Huron-Wendat confederacy and Jesuit missionaries 400 years ago, just to name a few. This year’s judging panel includes Dr. Laura Winer (Director, Teaching and Learning Services); Cathy Wong (Montreal City Councilor & Youth Development Officer); Valérie Patreau (Montreal City Councilor & Sustainability Researcher); Didier Jean-Francois (biotechnology consultant, McGill B.Sc. ‘97); Judith Ritter (radio and print journalist); and Susan Pollock (Project Training Leader, CAE Inc., McGill B. Eng ‘98). The presenters will have to make their research both relatable and engaging for every one of the judges to secure a prize. Registration to attend the live event in the Redpath Museum is sold-out, but the public can still catch the action on this livestream link and vote for the People’s Choice award.